This blog comes on the heels of two blog sites, My Humble Opinion (in English) and Mi Humilde Opinión (in Spanish), which serve now as archived materials. Twenty-seven years ago, Colombians learned about the true definition of “Reality TV.” On August 18, 1989, Luis Carlos Galán, the then-leading presidential candidate, died at the hands of Pablo Escobar’s gunmen during a political rally in front of hundreds of distraught followers — and millions who were watching the events unfolding on television. Fast forward to 1994 and you encounter the story of Luis Donaldo Colosio, one of Mexico’s most revered political figures in the mid-1990s. 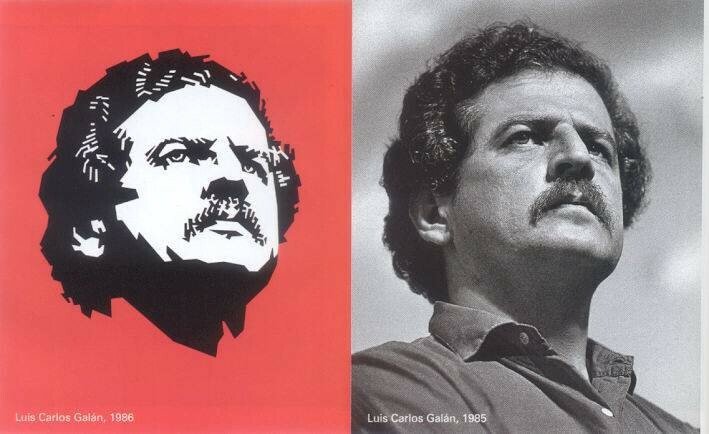 His story has a stark resemblance to that of Galán: same physical features (both Galán and Colosio had a similar hairdo and moustache), an impassioned oratory that moved the masses, were both outliers of their traditional political parties and assassinated in similar circumstances. Like Galán, Colosio was shot at point-blank in the middle of the crowd and died at a hospital. César Gaviria, Galán’s campaign chief, took on the mantle and became Colombia’s President. Similarly, Ernesto Zedillo Ponce de Léon, Colosio’s campaign chief, became president of Mexico.